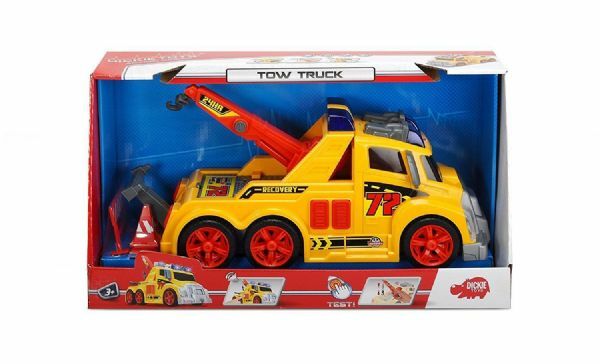 The Dickie Toys Large Action Tow Truck is great for keeping roads clear. 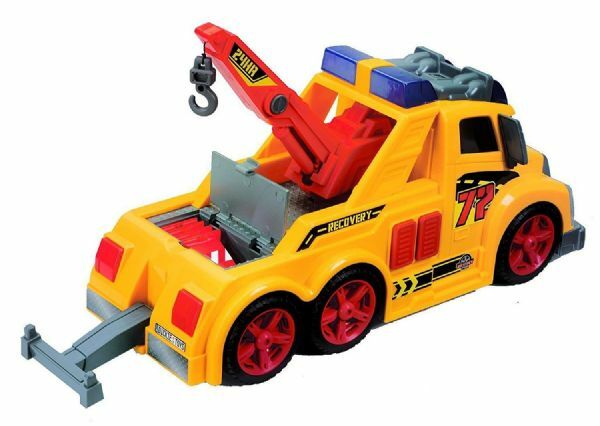 The Tow Truck will tow any vehicles away that are in the way, and can help clear cars from road accidents. 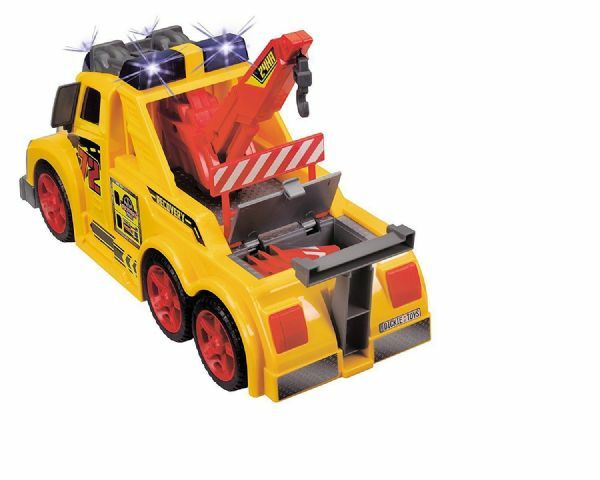 The 37cm free-wheeling recovery Tow Truck has flashing lights and various sound effects, as well as a swivel crane. The hook can be raised and lowered using the manual cable winch. 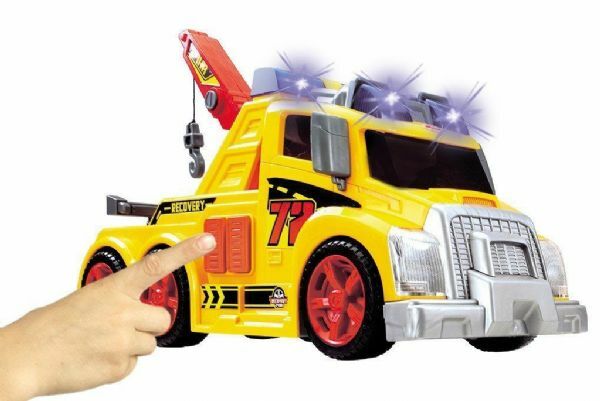 The truck bed contains an additional storage compartment with further accessories, including a further extendible tow hook, traffic cones and barrier. 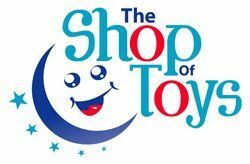 Batteries included (2 x 1.5V R6).